Giant Hardy Fan Palm - Washingtonia Robusta - excellent quality, nice and chunky, fresh lush green plants. Seen on your holidays, and now available to buy as 4-5ft specimen Palms perfect for your patio or garden. 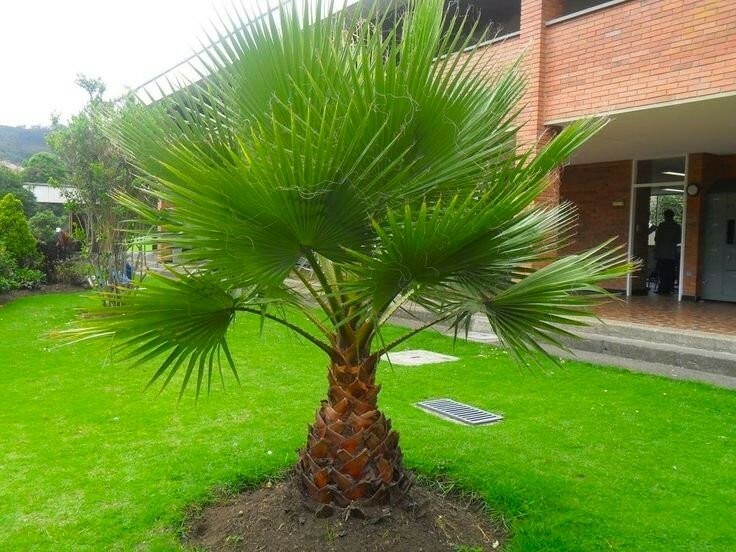 Gorgeous large leafed Fan Palm that will provide an architectural effect in the garden. In summer sunshine, the large leaves will cast beautiful shadows that dance on the breeze. Give yourself a taste of the tropics and sip cocktails under your very own palm tree! Can also be used indoors as a houseplant, or simply enjoy outside on the patio. Why not keep it pristine all year by keeping outside in summer and inside in winter? Easy to grow in Great Britain, simply keep well watered and feed for best results. Washingtonia palms are reputedly hardy to as low as -8c. These palms will form a tall trunk topped with massive fan-shaped leaves. Grows best in a bright sunny warm position in well drained compost or soil.